Tahoe Donner Cross Country was founded in 1984 by Glenn Jobe, in partnership with Peter Werbel. Since then it’s gone through a number of evolutions. The most recent major overhaul to the cross country ski area was the construction of a new state-of-the-art ski center called the Alder Creek Adventure Center. This center replaced all other structures at the location and officially opened during the winter of 2015/2016. Within the ski center you’ll find a café, bar, retail store, ski school, rental shop, public wax room, children’s play room, and public restrooms with showers. At maximum snow levels, Tahoe Donner Cross Country grooms over 100km worth of trails designed for use with skate skis, classic skis, and snowshoes. There are even a number of cross country ski trails that are dog-friendly (but check their grooming report for days and times in which these are open). 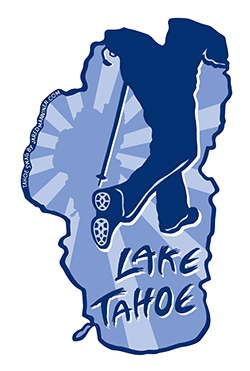 Please note that this article is a general overview of what you can expect to find at Tahoe Donner Cross Country and not a detailed checklist of every service available or a star-based rating of the cross-country ski area and facilities. The fact that I’m writing about Tahoe Donner Cross Country means that I endorse it and believe it to be an exceptional place in which to cross-country ski and snowshoe. There’s a dedicated parking lot at the Tahoe Donner Cross Country Ski Center, as well additional parking spots directly adjacent to the center along Alder Creek Road. However, during weekends and holidays parking spots can quickly become scarce so arrive early. Or, simply visit during the weekdays. On the busiest of days Tahoe Donner will run a shuttle service between its cross country ski center and one of its restaurants (The Lodge). Please note that on-street parking is prohibited during the winter in most places within Tahoe Donner. Although parking can become congested on the weekends and during holidays, please note that the actual trails themselves are never crowded. At a downhill ski resort everyone is funneled into lift lines. The beauty of a cross-country ski resort is that there are no lift lines in which to become trapped. Everyone skis at a unique pace, so once you get 50 feet down the trail you’ll have all the space you could ever want. Here’s a map to help you find the Tahoe Donner Cross Country Ski Center (aka the Alder Creek Adventure Center). Like at any other ski resort in the world, terrain is only groomed and available for access when snow levels are adequate to safely run grooming equipment over it. This is why ski resorts publish grooming reports on a daily basis. Check them before you leave the house in order to determine what’s available for skiing. 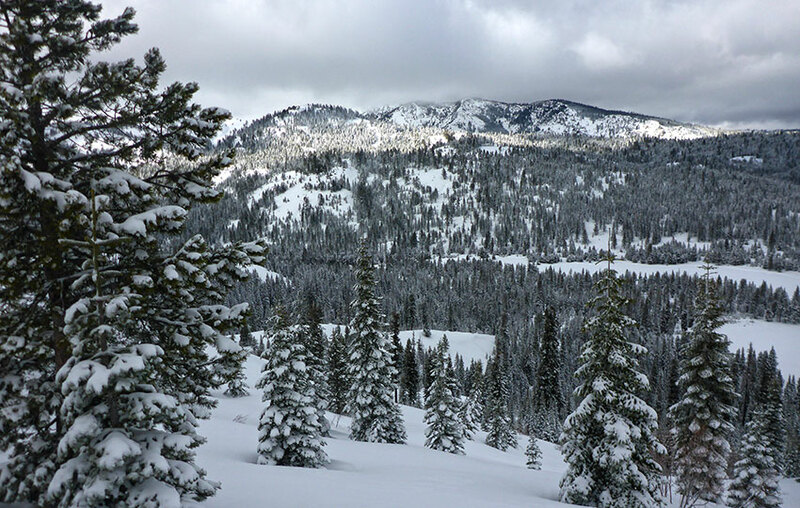 At its maximum, Tahoe Donner Cross Country Ski Area grooms over 100km of trails. These groomed trails feature a skate lane (wide, flat area designed for skate skiing) and classic tracks (for use when diagonal striding). There are also a number of track packed (with a snowmobile) trails for snowshoeing. People often question the idea of packing trails down for snowshoeing, but it’s to enable you to snowshoe further and safer than if you had to break your own trail. One of the nicest aspects of the cross-country ski trail system that Glenn Jobe originally designed at Tahoe Donner is that there are many beginner trails (green circle) that originate at the ski center. This is not the norm at most cross-country ski resorts located in the mountains because trail systems are based on the available terrain. And when you’re in the mountains, things can get steep really quick. So even though there is an abundance of intermediate (blue square) and advanced (black diamond and double black diamond) trails at Tahoe Donner, you don’t have to actually ski them in order to access many miles of beginner trails. Click this link for a look at the Tahoe Donner Cross Country trail system and find the link to their daily grooming report. Again, this article isn’t intended to be a detailed checklist of every service available at Tahoe Donner Cross Country. I don’t include prices, either, as they are subject to change. However, here is a general list of the cool stuff they offer. Ski School – private and group lessons are available and encouraged. Private lessons are available any day of the week, while group lessons are available on the weekends and during the holidays. Kid’s group lessons are available on the weekends and during the holidays. Rental Shop – the main rental fleet uses Salomon Pilot bindings, so if you only want to rent skis or boots they need to be compatible with the Salomon Pilot system. That said, the boots in the main rental fleet are Salomon Pro Combis (for use with classic or skate skiing), and both styles of skis are part of the standard rental package so that you can alternate between the two. The classic skis and skate skis are mid-range recreational Fischer skis. Snowshoes are also available with the standard rental package. The demo fleet of classic and skate skis use an NNN platform for its binding system (Salomon Prolink and Fischer Turnamic). The demo fleet includes Salomon Pursuit and Skate boots and Fischer Classic and Skate boots. The demo fleet features a number of high-end Salomon and Fischer skin tech classic skis and high-end Salomon and Fischer skate skis. Please note that most of the demo gear is expensive and more race-oriented. Damage waivers are not permitted with the demo gear (you break it, you buy it). I don’t recommend renting demo gear if you are new to cross-country skiing or getting back into it after a 30-year hiatus. All-in-all, the standard rental package available at Tahoe Donner is better than most other rental options across America so just stick with the regular gear and invest in ski lessons if you have money to burn. Waxing and Repair – located within the rental shop is a technical room where you can have your skis waxed (overnight). They also provide minor repair services, but nothing extensive like base grinding. Public Wax Room – this is something that you’ll seldom find anywhere else. Believe it or not, there are four wax profiles in the public wax room, as well as an assortment of scraper tools, brushes, and wax irons. You only need to bring your own wax. And throughout the season, Tahoe Donner hosts numerous waxing clinics (which is worth participating in). Children’s Play Room – there are no babysitting options at Tahoe Donner, but there is a children’s play room in which you can let your children unwind (while accompanied by you, of course). Restrooms with Showers – although there’s not a full locker room like at a gym, there is a shower located in one of the men’s and women’s restrooms. For a thorough look at all the services offered at Tahoe Donner Cross Country, as well as pricing and availability of what they provide visit their website. Full disclosure … I work in the rental shop at Tahoe Donner Cross Country. So if you’re visiting the ski center and it happens to be the weekend, stop by and say hello. I’d love to hear about you and your adventures.